The HIMSS Media ICD-10 Forum, held June 16 through 18 in the Washington, DC, area, addressed both the highs and lows of ICD-10 readiness. From “fast-track” approaches to ideas for postimplementation plans, the conference presented useful advice for providers no matter their state of implementation. Sunday’s sessions were geared toward slow-starting organizations. Independent consultant Dwan Thomas-Flowers, MBA, RHIA, CCS, covered the range of actions necessary to implement ICD-10, which drew gasps from audience members who had not yet realized the extent of the project. Thomas-Flowers pointed out the differences in implementation among hospitals, physician practices, and health plans. Charlotte Barrett, MBA, FACHE, RHIA, assistant vice president of ICD-10 implementation at the University of Miami Health System, discussed key success factors for ICD-10 implementation, such as gaining top leadership support and participation, holding the ICD-10 steering committee accountable, involving the right people and departments, and determining where consultant services may be necessary. Keeping the entire organization abreast of current developments also plays a key role. Rose Dunn, MBA, RHIA, CPA, FACHE, FHFMA, chief operating officer (COO) at First Class Solutions, focused on ICD-10’s cost factors across various settings and the importance of monitoring and maintaining a budget. Sunday’s program closed with Paresh Shah, president of MindLeaf Technologies, who reviewed a case study demonstrating the effectiveness of an earned-value approach. National Coordinator for Health Information Technology Farzad Mostashari, MD, took center stage Monday during an informative presentation that emphasized how implementing ICD-10 applies to meaningful use. He made it clear that the October 1, 2014, ICD-10 compliance date will not be pushed back. Christian Omba, executive vice president of program management and delivery at Lott QA Group, and Robert Tennant, MA, senior policy advisor at the Medical Group Management Association, spoke about the importance of taking a strategic approach to ICD-10 testing by identifying high-priority areas and working with trading partners to organize and conduct testing. Tennant pointed out that Medicare has instructed its fee-for-service contractors not to conduct end-to-end testing, which puts providers at a disadvantage in terms of getting ICD-10 up and running. Brian Levy, MD, senior vice president and chief medical officer at Health Language, noted vendors’ critical role in the implementation process. Organizations must contact their vendors, set performance benchmarks, and monitor vendor progress and implementation. Providers also must work closely with their vendors to ensure successful product integration. Mark Lott, CEO of the Lott QA Group, examined the National Testing Program, a model for industry collaboration on end-to-end testing. The process will enable asynchronous end-to-end testing using standardized test data based on actual medical records from various providers. The medical records, coded by a panel of ICD-10 expert coders, serve as the “source of truth” for testing. 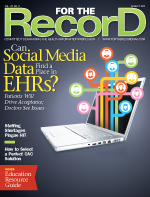 This will allow health plans and providers to test and agree on ICD-10 results using the same medical records. Jill Wolf, RHIT, CCS, vice president of compliance at VitalWare, detailed how to measure diagnosis-related group shift caused by ICD-10. She suggested moving beyond a predictive modeling strategy based on ICD-9 coding to a “10-coding approach” and dual coding a sample of records to predict the shift. She also emphasized the importance of understanding and applying clinical documentation improvement to gain a better understanding of ICD-10’s impact. The afternoon sessions focused on staffing issues. Denise Hall, RN, BSN, and Kristen Lilly, MHA, RHIA, CPHQ, of Pershing Yoakley & Associates, described how to keep employees focused and motivated during the ICD-10 transition. They introduced the concept of applying a loss of efficiency index to measure the productivity changes occurring in various departments. How to address coder supply and demand issues was the centerpiece of a presentation by Codesmart’s Judy Monestime, MBA, CPC, who suggested mitigating productivity concerns by focusing on training, providing loyalty incentives to current coders, developing workflow improvements, and using technology such as computer-assisted coding. Mary Hyland, vice president of regulatory affairs and chief privacy officer at SSI Group, explored the role of clearinghouses in ICD-10 implementation and testing, noting that these organizations can’t change codes from ICD-9 to ICD-10 as part of their regular business and that providers are responsible for accurate documentation and coding. Clearinghouses can assist in implementing payer edits, managing payer relationships for testing, and providing claim rejection analytics to providers. A panel from the Centers for Medicare & Medicaid Services (CMS) discussed the organization’s plans for educating providers and health plans. Good news: CMS surveys indicate that the majority of state Medicaid agencies are on target to meet the October 2014 deadline, and those that are struggling are receiving direct assistance. When questioned about Medicare’s decision to not provide end-to-end testing, panelist Denesecia Green said it was an independent Medicare decision, and that Medicare staff was aware of industry concerns and may be looking into alternatives. The day concluded with Ritesh Sharma, COO at Jvion, examining how organizations can use their own payment processes and history to better understand the financial risks of ICD-10 implementation and compare them with those of their peers. The last day of the forum provided further insight into the CMS’ approach to ICD-10 implementation. Denise Buenning, deputy director of the Office of E-Health Standards and Services, updated the status of the organization’s systems, indicating that the agency was on target to meet the compliance deadline in all areas while reiterating that the compliance deadline would not change. She also was quizzed about Medicare’s end-to-end testing decision and echoed Green’s comments about Medicare perhaps reconsidering its stance based on industry reaction. Louis Rossiter, PhD, chief of scientific methods at New Health Analytics, analyzed the potential direct and indirect economic effects of ICD-10. Among the cost factors examined were diagnosis-related group payment shifts, pended or denied claims, managed care contracts, and the impact on recovery audit contractor audits. Next, Jerry Mallon, a technical solutions architect at Blue Cross Blue Shield of Michigan, and Shirley Reynolds, an ICD-10 business test manager at UnitedHealthcare, spotlighted their plans’ approaches to testing with providers. Reynolds said both internal and external end-to-end testing are necessary, but that it would be impossible for UnitedHealthcare to conduct testing with each of its thousands of providers. Instead, the organization will take a focused approach to ensure it tests with a wide range of provider types and situations, using data based on medical records. Blue Cross Blue Shield of Michigan has presented physicians with several clinical scenarios and asked them to code them. Mallon said this will help pinpoint coding shifts and patterns, but it is not true end-to end testing. The following session highlighted two programs designed to make the ICD-10 transition a bit smoother. A HIMSS/Workgroup for Electronic Data Interchange pilot offers a process for collaborative end-to-end testing using real medical records as the test data. Around 100 providers, vendors, plans, and clearinghouses are participating in the fully operational pilot, which will transition to the National Testing Program this month and report final results in the fall. A CMS project to define processes and develop checklists for end-to-end testing of any administrative simplification change, including ICD-10, is expected to be under way by the end of September. It will provide all industry participants with an end-to-end testing guide but is not a software program or process. Revenue cycle expert Elaine O’Bleness, MBA, RHIA, CHP, described how a WellPoint-Cerner partnership has enabled the EHR vendor’s customers to test its ICD-10 strategies directly with the health insurer. Cerner customers make up approximately 16% of WellPoint’s billers, a sizable number that will provide an interesting sample for a good cross-section of billers. The forum closed with a peek at what providers will face after ICD-10 systems are up and running. The transition’s effects must be monitored closely, making it imperative that reporting systems be installed soon so that the right information can be collected on a timely basis. — Stanley Nachimson is principal of the HIT consulting firm Nachimson Advisors and a For The Record editorial advisor.